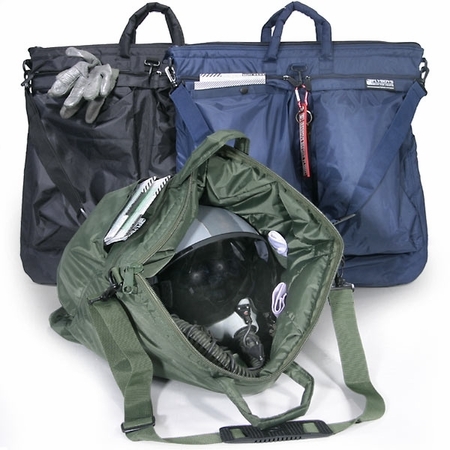 Helmet Bag - Jumbo - "The FODefender"
Home :: Flight Gear :: Helmet Bag and Crew Bags :: Helmet Bag - Jumbo - "The FODefender"
Great construction and color selection. Color matched strap with non-skid contouring shoulder grip is included - won't slip off your shoulder when you're heading out to the jet. The nylon shell flight jackets have met their match! Interior View: Highly quilted for maximum protection of your Life Support equipment. Interior pockets actually velcro closed to keep video tapes and DTC's or other items in place. Plenty of room for your helmet and any add-on apparatus it might have installed. 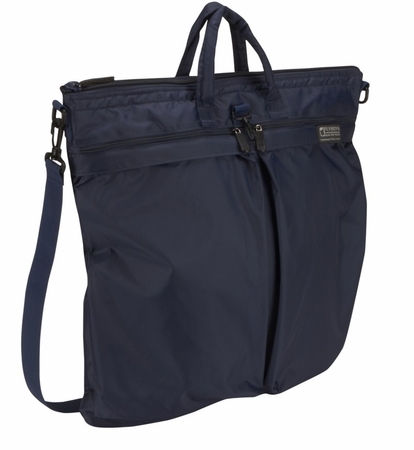 Protection of your gear is a must and this bag is the best at getting it done. 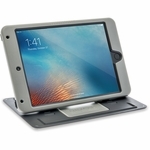 What an awesome feature - FOD PREVENTION and convenience! And, this is our patented design, nobody else makes a helmet bag like this. Black is our most popular color. But this one is coyote brown, as you may have noticed. Get one while you can, there are only a few remaining. Fly Boys makes the best gear. We build features that work and add value to the product. This FODefender Helmet Bag is without a doubt the best there is and only Fly Boys makes it! The ORIGINAL FODefender Jumbo Helmet Bag. 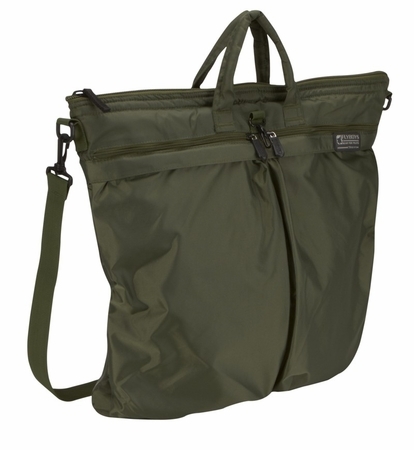 Please note that olive green is on backorder until June 2019. An updated version of what was already the best Helmet Bag available with key FOD prevention features that only Fly Boys offers. We use ultra durable 420D Nylon with a full 1/2" poly-fill for max cushion - while maintaining light weight and small footprint. This super tight knit nylon shell is extremely water resistant and provides superior protection for YOUR expensive equipment - and the interior lining is extremely soft. It will not scratch your visor if your cover comes off. 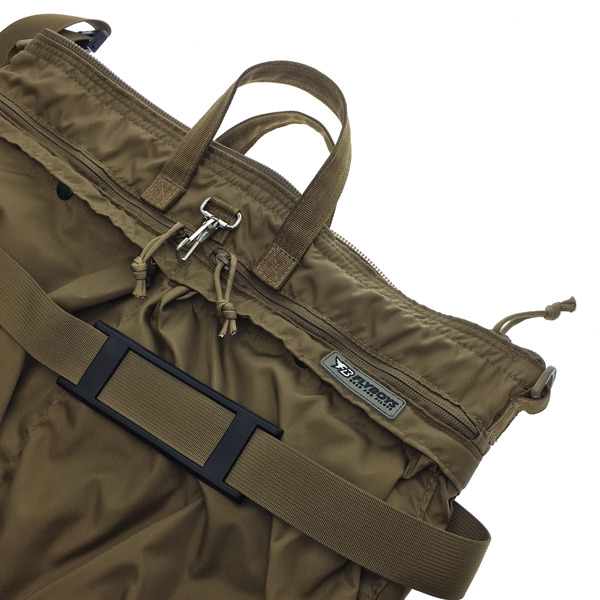 Heavy duty #10 zipper on the main opening resists snags and operates smoothly. 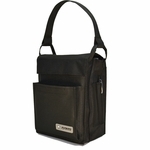 Two interior pockets WITH VELCRO CLOSURE that fit your DTC, VTR tapes, sunglass case or water bottle and keeps it there! Oversized from standard issue versions, it is superior for helmets with external mounts. Fly Boys Exclusive Feature. Two mid-pockets for smaller items. 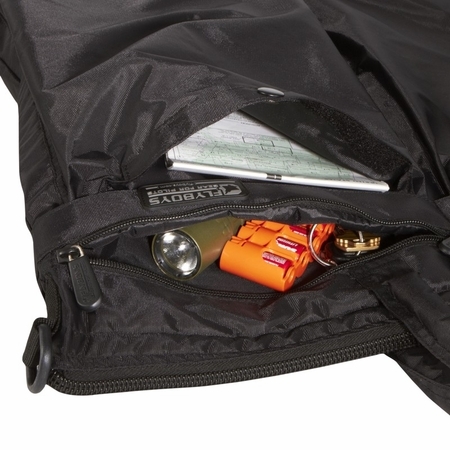 Designed and exclusively made by Fly Boys, offering two new zippered pockets which are perfectly located above the vertical exterior pockets and situated between the helmet compartment and exterior pockets. Rectangular in shape, and engineered for small items that may otherwise be a FOD hazard, or for fast access during flight. 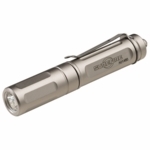 Wallets, sunglass cases, flashlights, earplugs, are PERFECT here. A "small" feature that spells huge returns in organization, protection for gear and not FOD out your F-35! 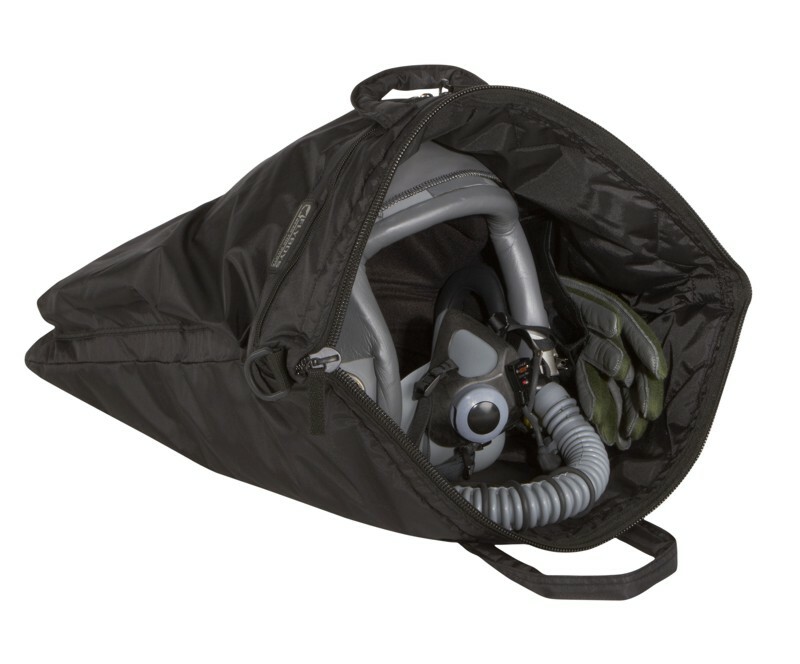 Bottom line is this is significant upgrade from the standard issue helmet bag and you won't be disappointed. Embroidery on this item is oversized, most wings are 8" wide. The embroidered bags LOOK amazing. If you'd like to order custom embroidery with your squadron art or other graphic you don't see on our options list please contact us on our Customer Service page and upload your art for a quote. Please note that the FB1121 is available through gsaadvantage.gov. You can search GSA for FB1121 and see purchase options for black, blue, green and tan, or you can purchase here.